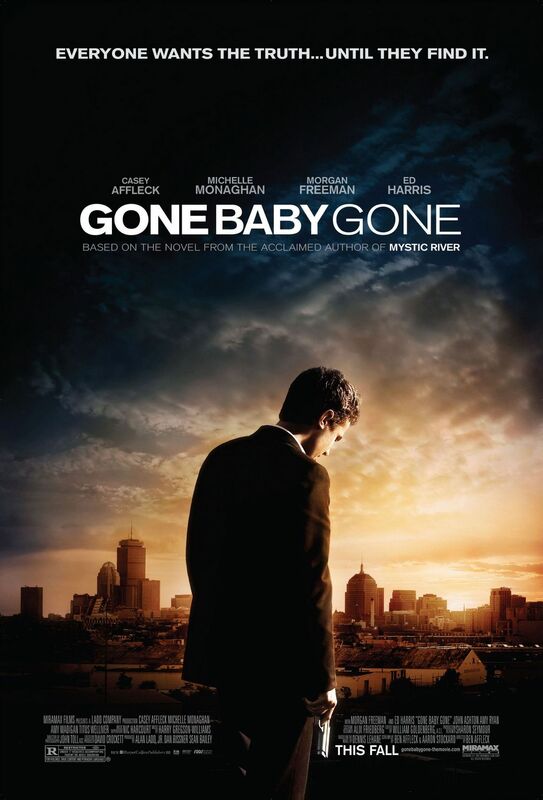 Gone Baby Gone – Everyone wants the truth….. until they find it. Screenplay by Ben Affleck and Aaron Stockard. Patrick Kenzie (Affleck) is a private detective that is asked by a family to help the investigation in the disappearance of a girl. Bea McCready (Madigan) is the grand mother of the little girl and she is completely distraught that her granddaughter has gone missing. Helene McCready (Ryan) is the less than ideal mother of the child and as the story unfolds we see how bad a mother she really is. The police are upset that Patrick is working their case but since he is a local man people are more willing to share information with him rather than the cops. He quickly uncovers facts the police were unaware of and the cops are not pleased he is uncovering more than they are. Remy Bressant (Harris) gets in Patrick’s face as often as he can reminding the young man that this is a police investigation. Patrick trudges through the worst of the criminal underworld where he gets closer and closer to finding out where the little girl is. He leaves no stone unturned and crosses many different people. This creates high amounts of tension and one very good movie. This was Ben Affleck’s directorial debut and he did an amazing job telling this story from the Dennis Lehane novel. His brother Casey Affleck amazed me equally with an excellent performance that kept me watching through the entire film. There are great performances all around and this movie is definitely worth a watch. Directors’ Previous Movies: This was his directorial debut. If you liked this try: The Town, Argo, Mystic River.